It would not be wrong to describe Terrence Malick’s Cannes Palme D’Or-winner The Tree Of Life as a two-hour-fifteen-minute ad for a fictitious Calvin Klein “Existence” perfume, brought to you in part by the Museum of Natural History, the Pritzker Architecture Prize, and the Episcopal Diocese of Waco, Texas. The ubiquitous walking-into-the-sunlight shot that seems to have pleased the Cannes jury so much. Step away from the shrooms, Mr. De Niro. I wasn’t in Cannes this year, and per my earlier post it is unlikely I would have seen the rest of the films in competition even if I had been, but I can understand why awarding the Palme D’Or to this caused so much controversy. It’s beautiful, yes, but it is not great cinema by my standards. 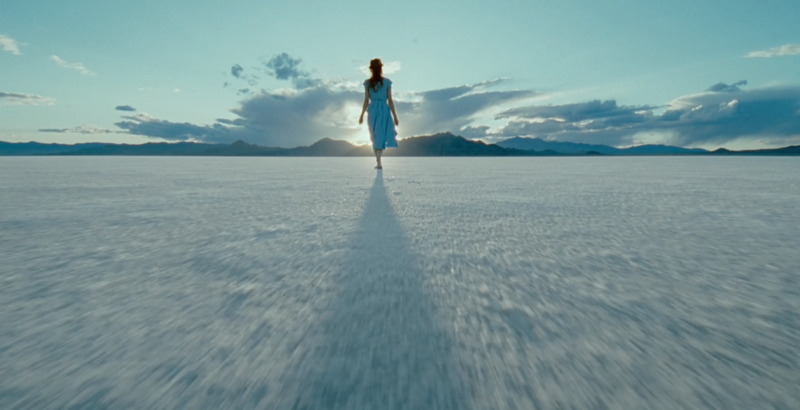 And this is coming from a huge Terrence Malick fan. It isn’t even intellectually stimulating from an esoteric spirituality point of view. But, after all those years in India and with the Sufis, I’m really jaded that way.